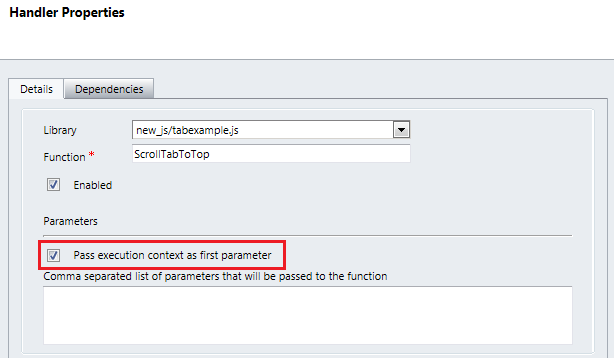 The function needs to be attached to the TabStateChange event for all the tabs. I have a problem with it. 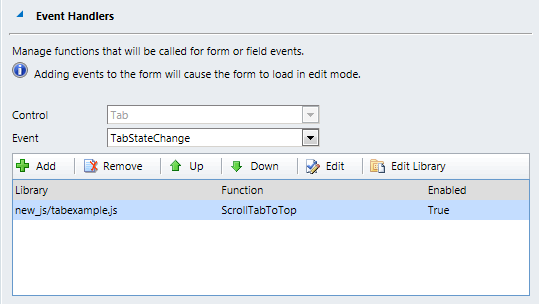 It works correctly on one of my forms, but when I use the same code on another form, it behaves oddly: When I unfold a tab, the system also unfolds the tab ABOVE it, and then sets focus on that one. It happens only on one particular entity form. On my other entity form it works perfectly. Both are custom entities. Do you have any advice on this? Have you seen that before? // We cannot trust the tab object that we receive from "getEventSource". // Calling "setFocus" on it might fail. // and call "setFocus" on that.